Complementing its preform, bottle and jar range, Chemco has a wide variety of caps and closures for every industry. We can offer product with varied colors as per client requirements. We produce more than 1 lac pieces on regular basis supplying to all the major plastic tubes manufacturers. 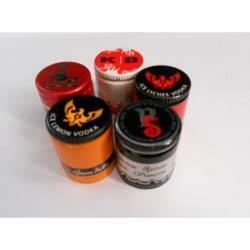 Pilfer proof caps for bottles in Pharma and Liquor Breweries Sector. We are one of the most reliable companies in this domain and are into offering Cap Closure. • Use - Shampoo, Conditioner, Talcum etc.